To mark the anniversary of the controversial death of Staten Island resident, Eric Garner, at the hands of the police, the National Action Network is holding a rally in front of the United States District Court at Cadman Plaza in Brooklyn, New York on Saturday, July 18. 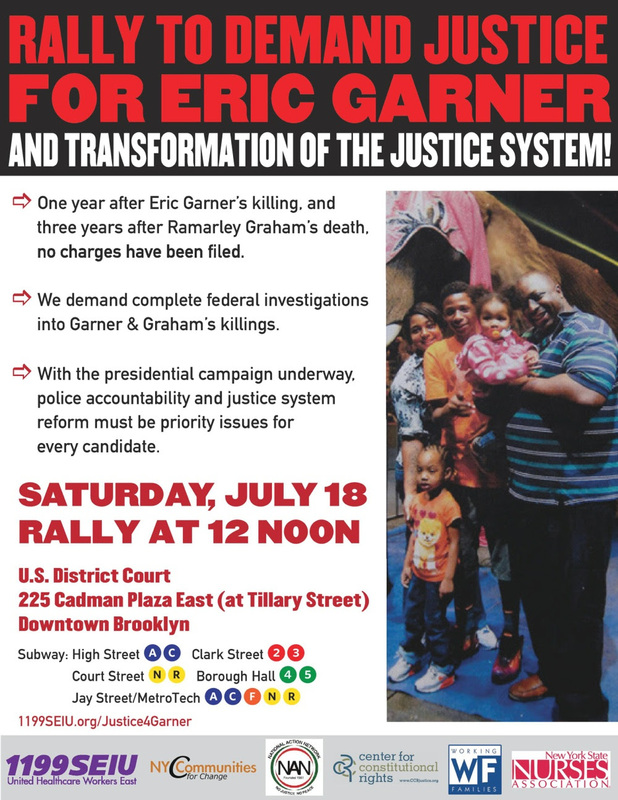 The planned rally will call for justice in the cases of Eric Garner and Ramarley Graham, a Bronx teenager who also died at the hands of an NYPD officer. Neither the Staten Island nor the Bronx District Attorney were able to bring criminal charges in the death of the two unarmed men. Organizers will demand federal investigations of both deaths. Criminal justice reform and police accountability are also policy demands.